Byrne Plaza will host the first event of 2018 when the Wild Chocolate and Wine Festival is held here on March 24th and 25th. This new special event complex at 3400 Pacific Avenue in Downtown Wildwood is easy to get to from anywhere in the Wildwoods and Cape May County! On the corner of Pacific and Oak Avenues, Byrne Plaza will host a full schedule of weekly events this summer, as well as many special events, throughout the year. 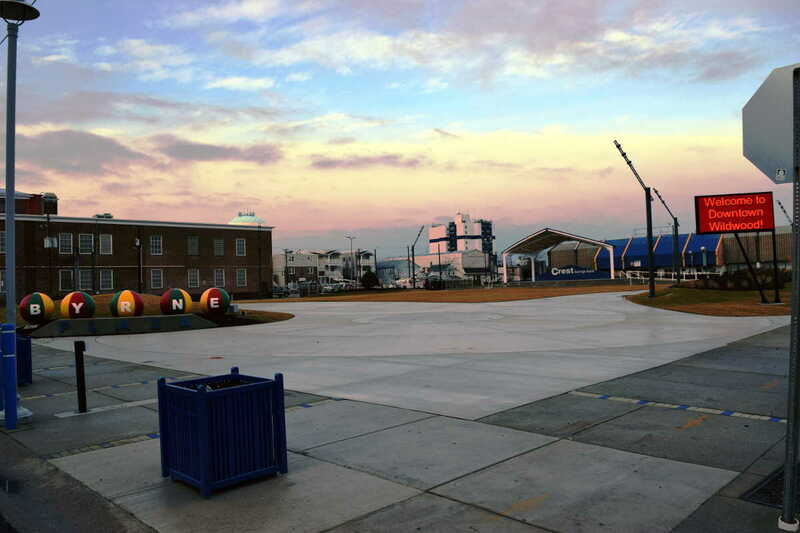 Developed and managed by the Wildwood Business Improvement District (WBID) in conjunction with Cape May County, the Byrne Foundation for the Wildwoods, the City of Wildwood and Crest Savings Bank, Byrne Plaza is a 60,000 square foot, landscaped green space that includes a large covered stage. The weekly Saturday Downtown Wildwood Farmers Market and Tuesday Free Movie Night will move to Byrne Plaza in 2018 and be joined by weekly Thursday Night Free Music and morning fitness classes on Mondays, Wednesdays and Fridays! Interested Event Organizers can find Byrne Plaza Capabilities information, as well as an Application to host events at Byrne Plaza under the Resources tab at www.DOOWW.com. Contact WBID at wildwoodbusinessdistrict@gmail.com or 609-523-1602.